An anemone shape featuring elongated and pigmented disk florets is an important target in breeding for flower shape in chrysanthemum. A good understanding of the inheritance of anemone-related traits and specific molecular markers are vital for accelerating the breeding progress. 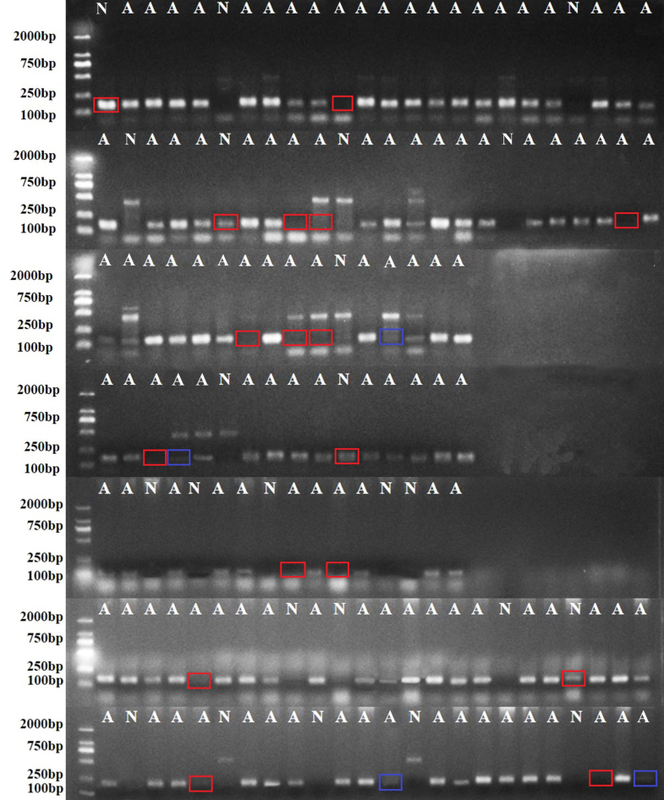 In this study, two segregating intercultivar F1 populations of the anemone-type ‘Nannong Xuefeng’ × the nonanemone-type ‘QX096’ (80 lines) and the same anemone-type ‘Nannong Xuefeng’ × ‘Monalisa’ (144 lines) were employed to investigate the genetic variation of anemone traits, and the anemone-specific markers were developed via the bulked segregant analysis (BSA) method by constructing two extreme bulks from each 10 anemone-type and nonanemone-type F1 lines, respectively. A moderate high level of variation coefficient (~ 24 to 57%) was obtained for most tubular floret traits relevant to the anemone type in both segregating populations. The anemone morphology of the hybrids was intermediate between that of their parents, and some transgressive individuals were observed, indicating great potential for the selection of lines with the desirable anemone type. In the BSA, four sequence-related amplified polymorphism (SRAP) primer combinations were identified as informative between the bulks of the anemone and nonanemone F1 individuals. After cloning and sequencing, only one SRAP marker, i.e., M11E1_272, was successfully converted to the sequence-characterized amplified region (SCAR) marker SCAR168. The SCAR marker was validation in the two F1 populations demonstrated that the marker SCAR168 could truly discriminate anemone and nonanemone types with a high coincidence ratio 87.86~92.5%. In addition, a general linear model (GLM)-based association analysis (P < 0.01) revealed that the SCAR marker exhibited a positive effect on the anemone traits and explained 20.83~33.66% phenotypic variation. 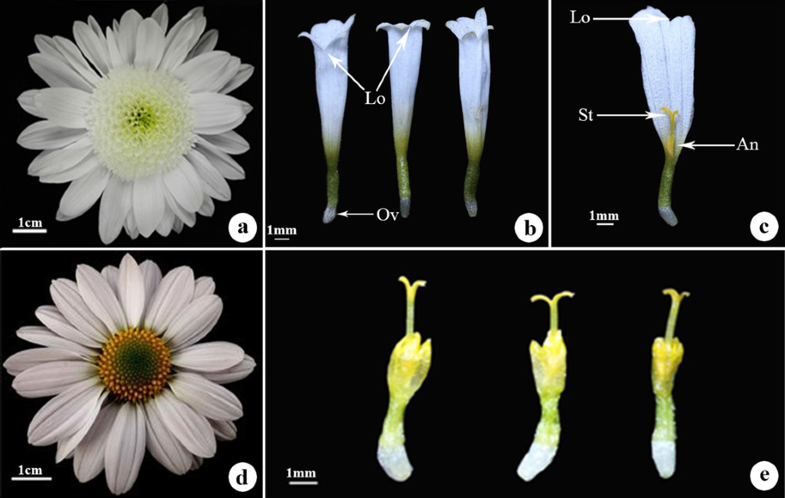 Results of the current study show the inheritance pattern of anemone traits, and the developed anemone-specific SCAR marker paves the way for the marker-assisted selection of flower shape in chrysanthemum. The online version of this article ( https://doi.org/10.1007/s11032-019-0958-7) contains supplementary material, which is available to authorized users. We would like to thank the anonymous reviewers for their constructive comments and suggestions that significantly improved the presentation of this paper. FZ conceived and designed the project. FC, WF, and ZG provided the materials. XY and YW conducted experiments. XY and FZ analyzed the data and wrote the manuscript. All authors read and approved the manuscript. 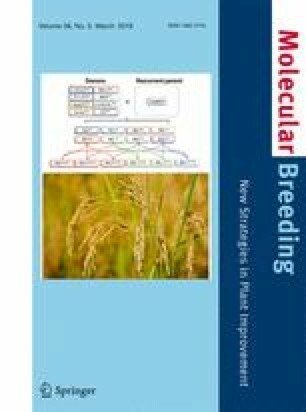 This work was financially supported by the National Natural Science Foundation of China (31370699, 31572152) and the Program for Key Research and Development, Jiangsu, China (BE2018426, BE2017412).